If you’re in the data world, you know it’s full of discord. Multiple data sources, inconsistent standards and definitions, inaccurate reports and a lack of governance are enough to derail any organization. What’s an enterprise architect to do? 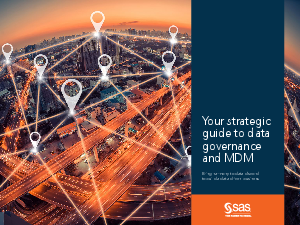 With the right data governance and master data management (MDM) solution, you can set and enforce policies and establish a consistent view of your data without micromanaging it. You can eliminate duplicate and inconsistent data. You can combine traditional data and new big data sources – like streaming data from the IoT – into one harmonious view. Read this e-book for expert advice and case studies that will show you new ways to manage your big data – and make sure everyone’s on the same page.